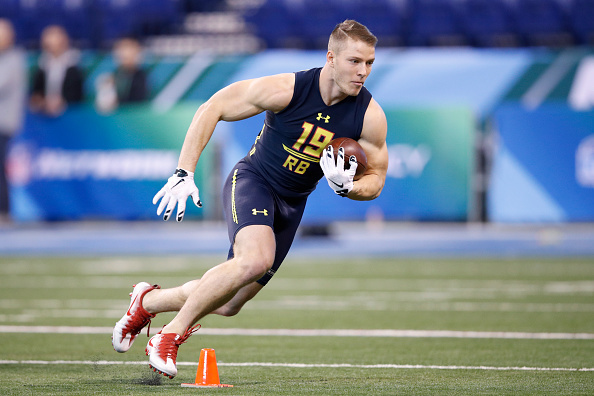 Thursday the Panthers picked their running back of the future, snapping up Stanford running back Christian McCaffrey with the 8th overall pick in the 2017 NFL Draft. Along with his ability to run the ball, the 5-foot-10, 202-pound McCaffrey has the ability to play slot receiver and return kicks. He set an NCAA record with 3,864 all-purpose yards in 2015, rushing for 2,019 yards along with 645 yards receiving and 1,070 on kickoff returns. While some questions remain over McCaffrey’s ability to be an every down back in the NFL, he won’t have to fill that role in Carolina – at least not immediately. 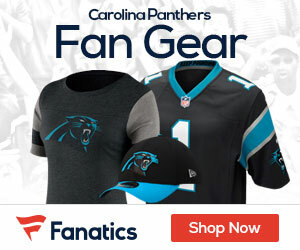 He’s expected to split time with nine-year veteran Jonathan Stewart, who signed a two-year contract extension earlier this offseason. Carolina’s offense took a step back last season after reaching the Super Bowl in 2015. After combining for 45 touchdowns in 2015, Newton spent most of last season under duress, throwing 19 TD passes and 14 interceptions while completing a career-low 52.9 percent of his passes. McCaffrey figures to help bolster that completion percentage by serving as an outlet for Newton on short slant routes and dump downs because of his abilities as a receiver. The Panthers were also last in the NFL in yards after the catch, an area the big play McCaffrey excelled at with Stanford. This past season McCaffrey averaged 211.5 yards per game and led the Pac-12 with 1,639 yards rushing despite being hampered by an ankle injury. He averaged more than 30 touches per game over the past two seasons.